Disposable Washcloths: Avoid subjecting your laundry staff to extra work. Available in six materials, these washcloths offer convenience and safety. May be used with any no rinse body or perineal cleanser. 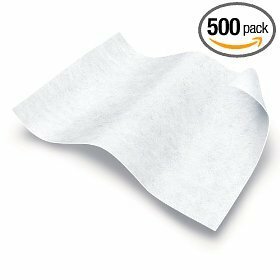 Ultra-Soft Dry Cleansing Wipes, 10″ x 13″.